This is one pound of assorted bones. See a size comparison with a soda can. 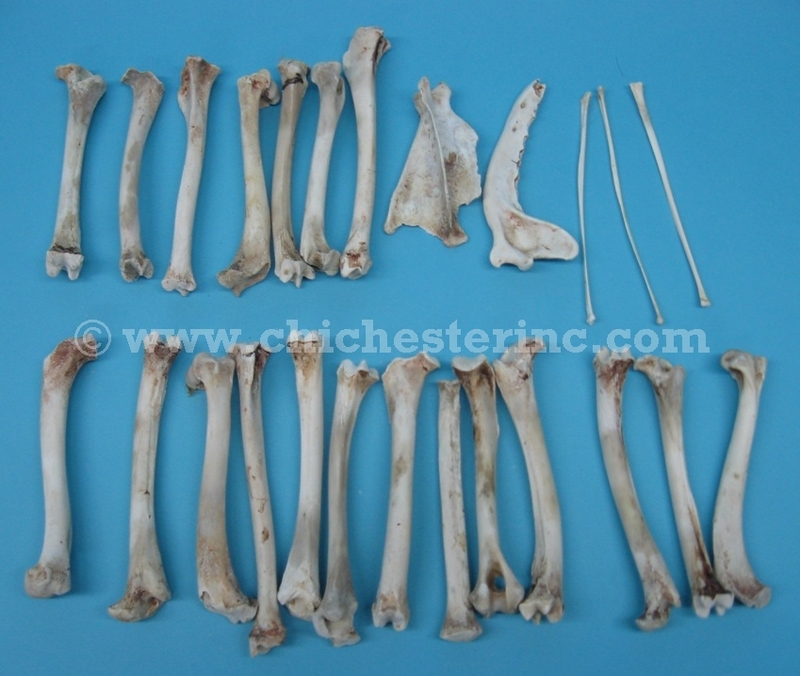 We sometimes get assorted loose bones from various animal species. We sell some assorted bones by the pound. The bones are from a mix of species: mostly coyote, fox, and raccoon. We cannot separate out the bones by species. 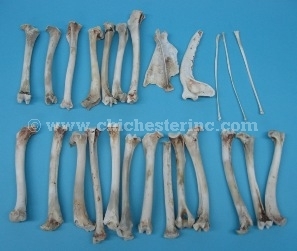 We also have some bones that are of unknown species that we sell per bone. Please see below for photos and measurements. Genus and species: Assorted species. Not for sale in California or Florida. Not for export outside of the United States because it is a mix of species. The bone in the photo is measured to be 13" long, 5" wide and weighs 0.80 lbs. 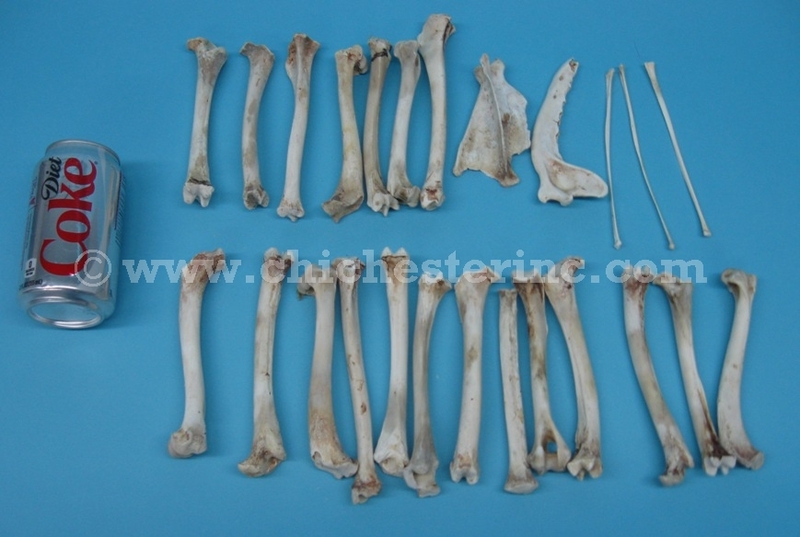 The bone in the photo is measured to be 12" long, 5" wide and weighs 0.80 lbs. The bone in the photo is measured to be 8" long, 3" wide and weighs 1.34 lbs. The bone in the photo is measured to be 4" long, 4" wide and weighs 0.34 lbs.